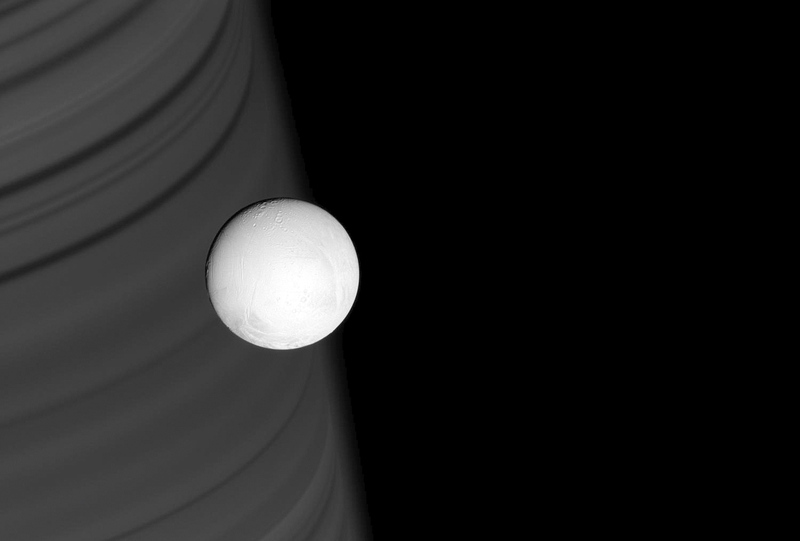 Enceladus is Saturn’s sixth largest moon, averaging 252 kilometers in radius. The width of Enceladus is approximately the size of Arizona. It is renown for geysers of water vapor emitted far into space from the surface. Research from the Cassini spacecraft indicates that theoretically there should be an ocean beneath the moon’s icy surface, leading to the possibility of microscopic life.